Toro Rosso are one of several teams who will be using a Kinetic Energy Recovery System (KERS) for the first time this season. Unlike some of their rivals, however, they at least have the benefit of a tried and tested system at their disposal - Ferrari’s. 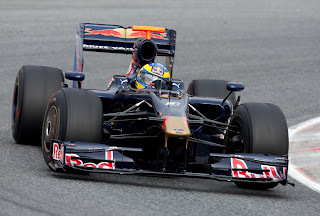 As part of their Ferrari engine supply arrangement, Toro Rosso also have access to their fellow Italian team’s KERS, which was used extensively by the Scuderia during their 2009 championship campaign, before all teams agreed to drop the technology for 2010. But with KERS set for a welcome return for this year, and with more teams expected to use it this time out, Toro Rosso are making the most of Ferrari’s expertise, not just in terms of their technical knowledge, but also in terms of the practicalities of life with KERS. It is not just Toro Rosso’s engineers that have been going through the training, but their entire race crew, as the team bid to ensure that everyone understands the procedural changes that will come with running KERS-equipped cars. “There will be times when we can behave exactly as previously, but in other situations we will restrict access to garage areas, if for example we are charging batteries or going through other procedures that require extra care,” added the team. Those team members directly involved with operating and maintaining the KERS will have to wear and use special equipment and Toro Rosso have been evaluating various types to ensure minimal impact on staff’s normal routines. Toro Rosso will have the first chance to put their KERS training into practice in earnest next week, when they debut their new car, the STR6, at the first 2011 pre-season test at Valencia in Spain, starting on February 1.